Tip for Quick DIY Greeting Cards! So, by now it is no secret that I love beautiful papers and prints. While I am busy discarding and tidying my house a la Marie Kondo’s book,The Life-Changing Magic of Tidying Up, I have held on to almost all my paper, as it does truly spark joy! That being said, all this beautiful paper doesn’t belong stored in a craft room, so I am always looking for ways to use and share it. I made this paper art to decorate my craft studio, and I have a big project cooking up for the holidays. I also love making cards. While these can get elaborate, with multiple papers and shapes, rubber stamps and ribbons, today I want to share a quick way to make unique cards. 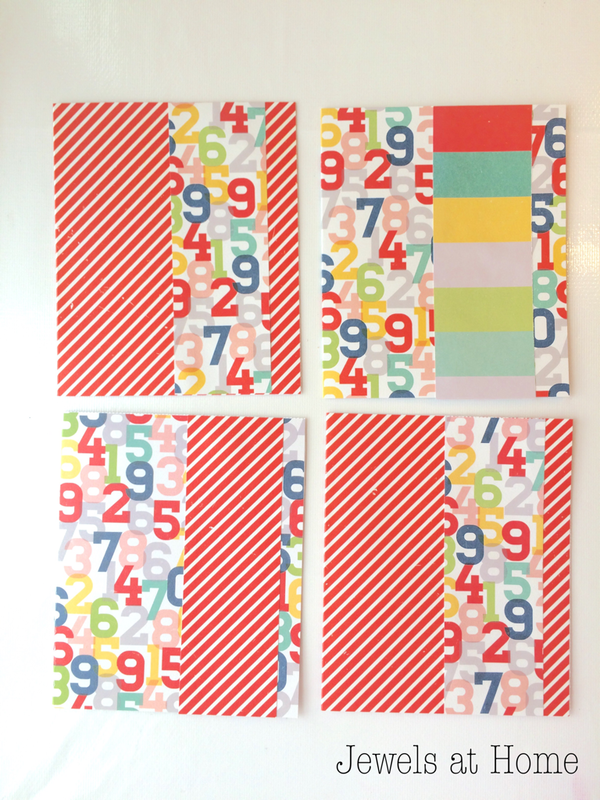 All you need for this project is two sheets of coordinating paper, and you will end up with four beautiful one-of-a-kind cards. Finally, cut the 2″ strips in half lengthwise and glue them on the cards of the opposite paper, to create a simple and pretty design. 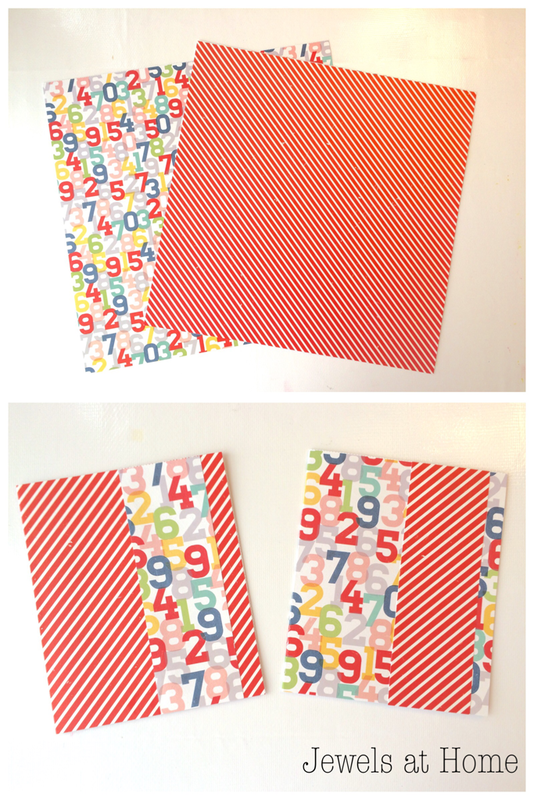 If you are making more sets of cards, you can switch the 2″ strips around multiple ways, to create even more different patterns! One of the things I love about this project is that there are no scraps leftover – just a set of cards ready to brighten a friend’s day!